BYLINE: EROTEME.CO.UK.Harry Styles attempts to sneak out from the back door of the Groucho members club at 1.35am. He walked to a cab in Soho and tousled his hair in the back of the car, as he made his way home alone. Harry had been partying in The Groucho with friends DJ Nick Grimshaw, pop star Rita Ora and TV presenter Maquita Oliver. 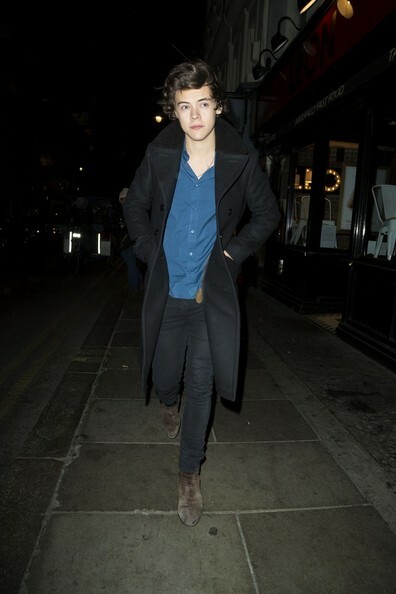 Nothing says English style quite like a thick wool coat, as Harry Styles demonstrated while out late in London.